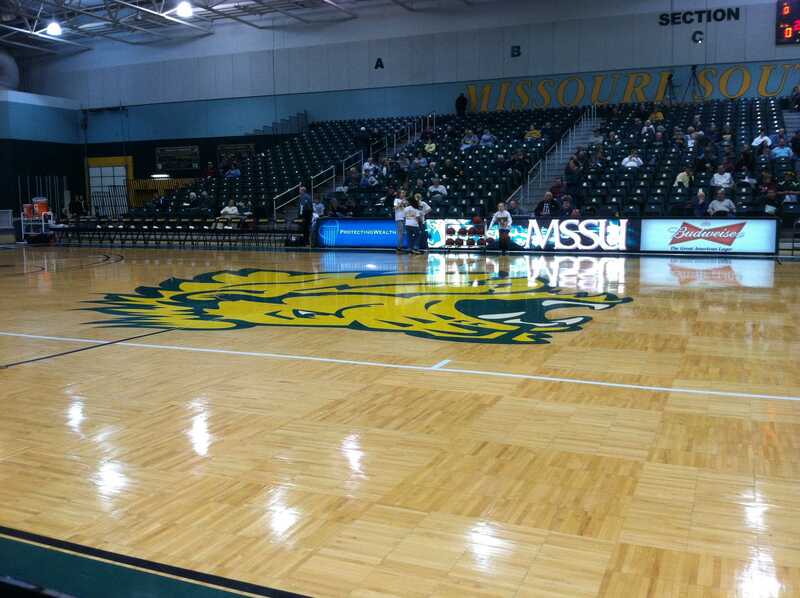 A crowd sits through a 45 minute delay before yesterday's women's basketball game at Missouri Southern. The officials were late getting to the arena. A scheduled 5:30 p.m. tipoff turned into a 6:15 p.m. game yesterday in Joplin, Mo. The Missouri Southern Lions women’s basketball team beat Lindenwood 72-61.The start of the game was delayed when the referees arrived late. A crowd sits through a 45 minute delay before yesterday’s women’s basketball game at Missouri Southern. The officials were late getting to the arena. LU trailed by 10 at halftime, and cut the lead to three with under eight minutes to go, but that was as close as Lindenwood got. Southern center Shonte Clay led all scorers with 19 points. Fellow MSSU center Dominique Mosley had a game high eight rebounds. Kassidy Gengenbacher was LU’s leading scorer with 14 points. Lindenwood is now 8-7 overall, and 3-5 in the MIAA. Missouri Southern is 11-3, and 5-2 in conference. The women are off a little less than a week. They play again at 5:30 p.m. January 22 when they host Southwest Baptist at the Hyland Arena. Q: What is your biggest strength in cheerleading?